Half of the state in America requires you to file an affidavit along with the medical malpractice lawsuit. An attorney or a medical expert of the same field as the defendant should provide a sworn statement in this affidavit confirming the alleged wrongdoings. 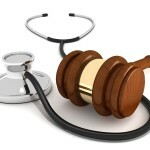 The affidavit of merit for medical malpractice is a by product of the Tort reform laws, a law enacted by certain states to reduce the many frivolous lawsuits in America. It makes it easier for the plaintiff to file the medical malpractice lawsuit, because the affidavit of merit weed out the unnecessary procedures involved in the court system. The expert who swears in the affidavit should qualify as an expert and is practicing in the same medical field as the defendant. This expert must thoroughly check your case. The expert must see that what the defendant did is a blatant failure of following the right medical standard when the incident happened. If your medical malpractice lawsuit gets to court, you don’t necessarily have to get the expert who signed your affidavit stand as your testifying expert. These medical experts don’t like testifying against their fellow medical practitioners. You can choose to have your attorney swore in your affidavit of merit. Take note that there are states that would dismiss your case if you do not file an affidavit of merit. There are states that give you extra time before you file the affidavit, while there are other states that requires you to file the affidavit of merit along with the medical malpractice lawsuit. To make sure that you take the right course of action regarding filing your affidavit of merit, it is best to consult your attorney. Fill the quick enquiry FORM available on the right of your computer screen and get immediate legal help.